Youngsters cooled off by plunging into the Baltic Sea in Vaasa, Ostrobothnia, on 19 July 2018. 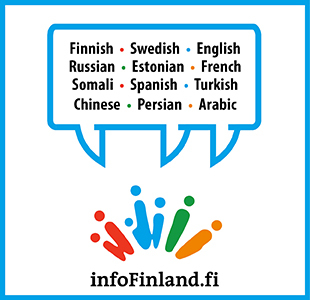 The Finnish Meteorological Institute (FMI) has stated that a very hot weather warning is in effect formost parts of Finland on Monday. An FMI meteorologist highlighted yesterday that this month’s temperatures have deviated from monthly averages by 4–6ºC in most parts of Lapland, 2–4ºC in central and south-western parts of Finland, and 1–2ºC in eastern and southern parts of Finland. “There is no end in sight for the heatwave. This July will probably end up being the warmest in measured history in Lapland,” they stated on Twitter. In Helsinki, the mercury has hovered roughly 2.5ºC above monthly averages. FMI issues a hot weather warning whenever daily highs are forecast to exceed 27ºC and daily averages 20ºC, and a very hot weather warning whenever daily highs are to exceed 30ºC and daily averages 24ºC. The warnings are directed particularly at risk groups such as children, the elderly, people with cardiovascular diseases and people working outside.